Want to add a new contact record to CallAction? 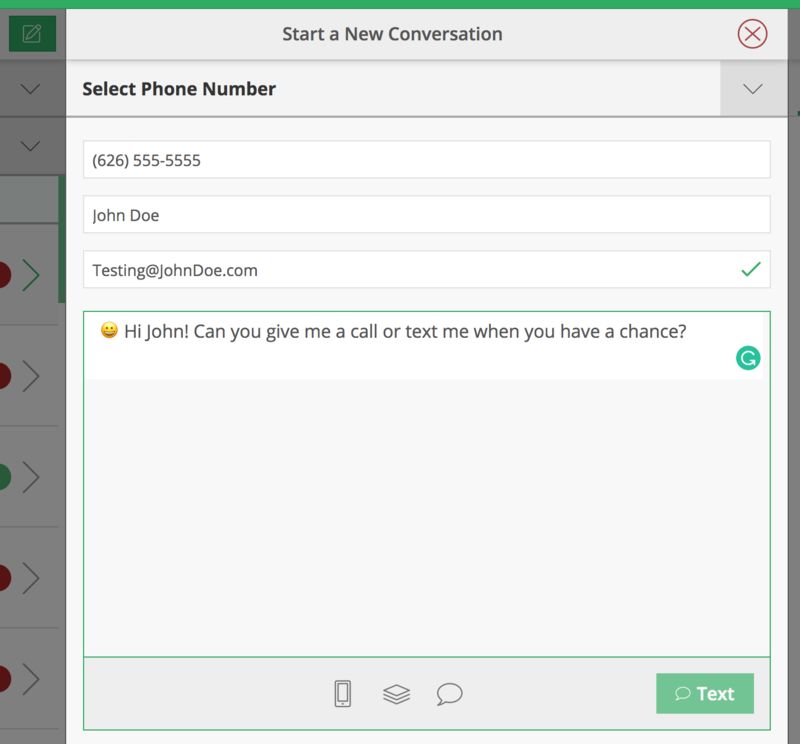 Easily start a text conversation with a new contact in CallAction. You can include emojis, image attachments in your initial outbound text messages for higher engagement. Steps to start a new contact to CallAction and start a new conversation on both mobile and desktop version. Button to add new contact and start conversation on mobile view. Button on desktop and tablet version. Details steps to adding a contact below. Enter a text message or select one of your canned response templates. Here's exactly what happens after you click the text button to start a new conversation. Once the contact record has responded to your initial text message, you can then assign a drip campaign to follow-up or nurture the lead long term. Some ideas to start new conversations with contacts. Review some of our other workflows, blog or our private mastermind group for additional ideas. If you are not currently using CallAction drip campaigns, you may signup for a free 14-day trial in less than 10 mins. You'll get 14 days free and we also offer a 30 day, 100% satisfaction, money-back guarantee after your first billing cycle.